To many, the zombie film truly began in the year 1968 with George Romero’s immortal, Night of the Living Dead. It was a film that defined an era, setting the tone for drive-in and b-things to come for decades. But, the zombie was alive and well in death way before Romero hit the scene, as proven by voodoo tales spanning decades of horror. The film White Zombie will often come up when speaking of zombies of the old fashioned variety, and with good reason. The little 1932 film-that-could starring Bela Lugosi ranks up there with the best of the much more well known Universal classics. Hammer got involved with the living dead in 1966 with The Plague of the Zombies, and it knocked a few socks off as well. 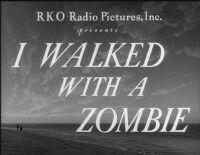 Drop back a few decades to 1943 and we have I Walked with a Zombie, a film much more beautiful than its cliché title would at first indicate. 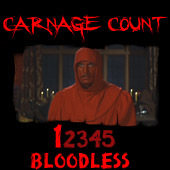 Directed by Jacques Tourneur, this legendary film has been said to have influenced Lucio Fulci’s Zombie, the film in which modern zombies and voodoo drones crossed in a slop of grue. Walk this way. Nurse Betsy Connell (Frances Dee) has been sent from Ottawa to the West Indies to care for a catatonic women named Jessica Holland (Christine Gordon), who is under the care of her husband, Paul Holland (Tom Conway) and his brother, Wes Rand (James Ellison). Paul and Wes have the same mother, but different fathers and they have the same taste in women. Before Jessica’s mind went caput, there was a devious little love triangle brewing and Paul seems to not especially care for her anymore, whereas Wes still aches for his love to become even a mere glimmer of her former self. Nurse Connell tries her best, but can’t come up with anything to cure poor Jessica. But, she’s not in Canada anymore. This is the West Indies and the people there have their own form of medicine. I Walked with a Zombie can be most compared to a beautiful threnody. It is without question one of the most beautiful horror movies of its time. Universal classics are dependent on story and twists, but generally the cases are closed and the gothic castles, fog and coffins are the main attraction, other than the main villain, of course. Unlike those, I Walked with a Zombie is a very character driven tale and is a movie that blends genres magically. A love and loss story at heart with hints at crime and superb supernatural overtones, the feel of the movie is incomparable to other horror films of its time. It exists at the point where nightmarish poetic imagery and deviant human nature intersects. The only drawback to the entire film is some character points are rushed (such as a relationship between Nurse Connell and Paul), but in such a haunting film, it’s very easy to overlook. The premiere attraction of this film has to be the cinematography and direction. Having been shot in 1943, the vast and expansive shots of today are out of the question, but the film doesn’t suffer one bit from this. Jacques Tourneur doesn’t have a huge array of moving shots, but what he does do is have the camera in the perfect spot every single time, portraying amazing depth and haunting shadows. Of all the black and white horror films I’ve seen, this is the one I would never want to see colorized. The black and white photography is moody and exhilarating and is without a doubt part of the charm. Melancholy is not only caught well on camera, but also displayed by most of the characters, especially Paul, who doesn’t seem to want to leave his sense of gloom. Things get a little tricky towards the end, leaving the viewer to make up his mind as what and how events truly unfolded. It keeps you thinking, to put it mildly. As much as the film melts genres into one, I felt the horror aspect truly shines a lot more than some people would like you to believe. The character of Carrefour (Darby Jones) is a sort of entranced, buggy-eyed zombie guard to the voodoo ceremonies that spends his time eerily statuesque and walking seemingly aimlessly toward whatever goal he’s been sent out to accomplish. Seeing him come to life after standing deathly still in a breezy field is among the most unnerving scenes of the classic horror era. I Walked with a Zombie is presented on DVD from Warner on a double feature with The Body Snatcher and features the original full frame aspect ratio and a mono track. The film has a few scratches and movements here and there and the audio track is clear. Also included is a commentary with film historians Kim Newman and Steve Jones and a theatrical trailer for the film. I Walked with a Zombie delivers chilling visuals as well as any horror film has done before or since its release; a landmark horror film that has proven to be as exhilarating today as it was back then. Buy it!